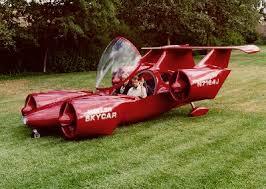 To hell with Skycycle – Where’s my flying car? 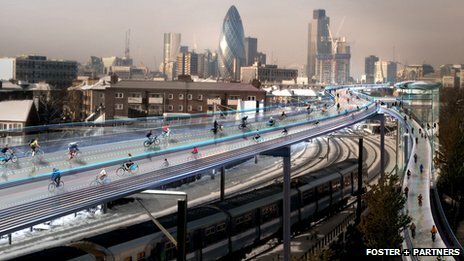 This is the “new” vision for London’s future – bloody elevated cycle tracks! Wind. No, not farty vegetarian cyclists, I mean the howling 80mph stuff. Imagine THAT up there..
Crime. Where you gonna run? Romanians. They’ll camp on it. Also see (2) above.. This is NOT the future we were promised in the 50s.. Where’s my bloody flying car, then?